What started in the form of AIM chats, Myspace profiles, and friend requests from old high school buddies on Facebook has grown into a giant, almost inescapable part of our lives. Social media has influenced everything from film, politics, health, and – most importantly – business. Some were skeptical at first, but it’s clear now that every business should have social media integrated into their core marketing strategy. 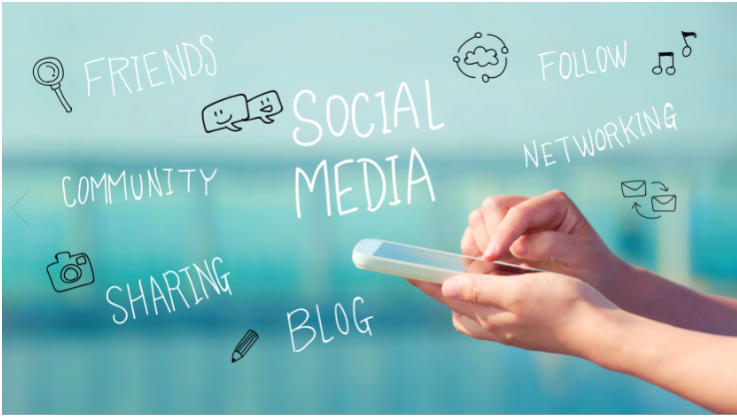 Here are 3 reasons why your brand needs to have a social media presence. Take one look at your Facebook timeline and you’ll be able to see just how impactful one person taking a video on an iPhone can be. But when we have access to literally thousands of television series and movies online, why would we watch a person talk about their day instead? It’s simple, humans want to interact with other humans. Social media gives you the chance to “humanize” your brand. You can do this with giveaways, live feeds, customer/fan shout outs, and media that showcases your product in the hands of Instagram influencers. Now, people can see others enjoying what you have to offer, which inspires them to give your brand their attention and hopefully, their business. Social media has given individuals a method to vent out their frustrations about organizations, people, and politics. However, it also gives fans of your product or service a place to share great things about your business. You don’t just want to set up a page with your information, hours, a profile photo, and then neglect to post new content or keep in touch with your audience; you need to own your presence. If you don’t, people will begin speaking for your company like leaving comments or messages about faulty products, complaining about a recent customer service interaction, or simply addressing your lack of communication online. Companies that interact with their audience and customers stay up-to-date with trends, address or resolve any customer service issues, and keep track of your competition. If your company doesn’t have a social media presence, you’re missing out on reaching a huge part of the population. According to a 2018 report from Hootsuite, there are over 4 billion people around the world using the internet, and that number is growing. Even if you’re a business that serves only your local area can benefit from global exposure, how is this possible? Imagine that a small coffee shop writes an article about a popular topic within the coffee drinking lifestyle, then the article gets shared around the country and receives international exposure. It’s only a matter of time before people in your area see this popular article and share it themselves, only to realize that the authors are a local coffee shop that they can go see for themselves. The domino effect that popular content has on customer outreach and storefront traffic cannot be underestimated. Putting your brand out there for the world to see gives people a chance to share what they love about your product or service and offer feedback as to what can be improved. Brands looking to connect with audiences will find no better way at accomplishing this than implementing a well-thought-out social media strategy. I just wanted to keep on reading! I’ve learned a lot of tips, thank you for passing on. When is your next post available? We release new posts regularly every Monday morning. Glad you enjoyed! Great article! I’ll definitely apply some of the suggestions myself, you’re fantastic. Do you have a subscriber list I am able to join?